Only certain occupations are approved for use under Australia’s permanent and temporary skilled visa programmes. As of 1 July 2017, these occupations are listed in legislative instruments for the relevant visa programme. Skilled Nominated visa (subclass 190), Skilled Independent visa (subclass 189), Skilled Regional (Provisional) visa (subclass 489) and Temporary Graduate visa (subclass 485). the Short-term Skilled Occupation List (STSOL). caveats on occupations now apply to both the Temporary Work (Skilled) visa (subclass 457) and the Employer Nominated Scheme (subclass 186) – Direct Entry Stream. The information below explains where to find eligible occupation information for particular visa programmes, and the impacts of recent changes. Temporary Graduate visa (subclass 485) – Graduate Work Stream. you will need to nominate an occupation from the MLTSSL of the relevant legislative instrument – see: IMMI 17/072 Specification of Occupations and Assessing Authorities. Skilled Regional (Provisional) visa (subclass 489) - State or Territory nominated. You will need to nominate an occupation from the same legislative instrument above. Additional occupations included in the STSOL will, however, also be available to you. Note: the above instrument also restricts the use of certain occupations to certain subclasses listed above. The occupations available for the subclass 186 and 457 programmes are the same. Consequently, for ease of reference, a single alphabetical list of these occupations is available. See: Combined list of eligible skilled occupations. Note: Different eligible occupation arrangements are in place for the Regional Sponsored Migration Scheme visa (subclass 187) - Direct Entry Stream. Training visa (subclass 407) - Nomination eligibility type 2 – Occupational training to enhance skills in an eligible occupation. your subclass 457 visa or nomination application is still being processed by the Department on 1 July 2017. In such cases, your application cannot be approved. Once your application has reached the assessment stage, you will be contacted by the Department and given the opportunity to withdraw your application in writing. Alternatively, you can request a withdrawal in writing at any time and request a refund of the application fee. If you do not withdraw your application, it will be refused. This means that any applications already lodged before 1 July 2017 for the above visa subclasses (other than a 457 visa) will not be impacted (even if the occupation was removed on 1 July 2017). If you already hold a subclass 457 visa, you will not be impacted by these removed occupations unless you apply for a further subclass 457 visa or are changing your occupation or employer. Employer Nominated Scheme visa (subclass 186) – Direct Entry Stream. These caveats are designed to ensure that the above visa programmes are used to fill skilled positions that cannot be filled via the local labour market. If you are working in a highly skilled position, you are unlikely to be impacted by these arrangements. A summary of Caveats on occupations that apply to particular occupations is available. were lodged before 1 July 2017 and have not yet been decided by the Department. If your occupation is now subject to a caveat, an officer will assess whether the caveat applies in the particular circumstances of your nominated position. If you have a pending application with the Department which was lodged before 1 July 2017 and you are certain you cannot meet the caveat requirements, you can request a withdrawal in writing at any time and request a refund of the application fee. If you do not withdraw your application and do not meet the caveat requirements, your application will be refused. If you already hold a subclass 457 visa, you will not be impacted by these caveated occupations unless you apply for a further subclass 457 visa or are changing your occupation or employer. On 1 July 2017, the Victorian Skilled and Business Migration Program is reopening applications for ICT occupations. For the full list of occupations, please see the Visa nomination occupation list for Victoria. 1. Check you meet the Department of Immigration and Border Protection’s (DIBP) Skilled Nominated visa (subclass 190) requirements and Victoria’s minimum nomination requirements. 2. Submit an Expression of Interest (EOI) for the Skilled Nominated visa (subclass 190) in DIBP’s SkillSelect, and indicate your interest for Victorian nomination. You do not need to notify Victoria that you have submitted an EOI. 3. Regularly check your email (including your junk mail folder) to see if you have been selected by Victoria. There is no set timeframe to expect an invitation after submitting an EOI. Invitations are not guaranteed. If selected, an email invitation to apply for Victorian visa nomination will be sent to your email address used for the EOI. 4. Submit an online application for Victorian visa nomination within 14 days of receiving the invitation. Note that you must be able to demonstrate that you still meet the claims that were in your EOI when you were invited. We recommend that you have all your supporting documents ready before you submit your EOI in SkillSelect, as the 14 days cannot be extended. 5. If you are successfully nominated by the Victorian Government, you will receive a SkillSelect invitation to apply for the Skilled Nominated visa (subclass 190). 6. Submit a visa application to DIBP within 60 days of being nominated by Victoria. The Victorian Government will review and select the top ranking ICT candidates from SkillSelect, who have indicated Victoria as their preferred state. Candidates who are selected to apply are still required to meet Victoria’s minimum eligibility requirements, including demonstrating employability and commitment to Victoria, and are not guaranteed nomination. If you are not selected by the Victorian Government, you will not receive an email. 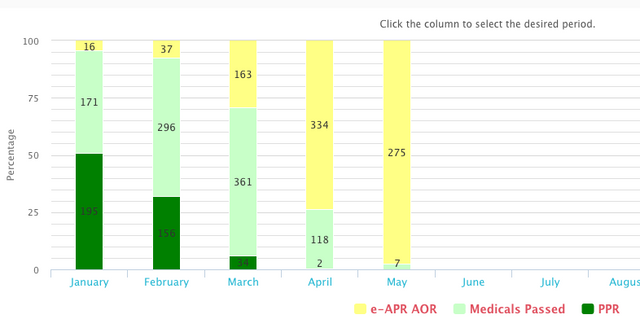 Your EOI will continue to be considered for as long as it remains in DIBP’s SkillSelect system. This application process is for ICT occupations only. However, if you are an ICT applicant and currently hold an offer of employment in Victoria, or meet the streamlined 457 or PhD pathways, you are exempt from this process and can lodge a Victorian visa nomination application without lodging an EOI first. If you find this status update useful please SHARE on Facebook and Twitter - thank you in advance. *Please note CEC and FSW outland/inland have been processed actively this is especially true for CEC. 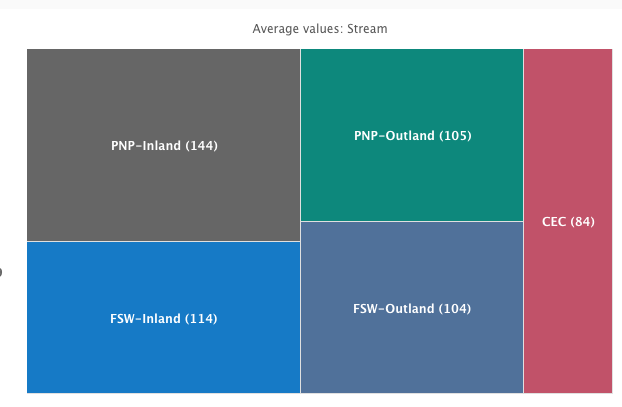 PNP Outland/Inland are also remain pretty much untouched. *Please note we have seen some quick Passport Requests (~65 days) this months. Which is a positive sign. Cheers everyone and enjoy the weekend (for some its a long weekend)! This article goes through each of these changes and explains the likely consequences for applicants. The maximum age for General Skilled Migration is currently 49. For the Skilled Independent Subclass 189 visa, this will be reduced to 44 from 1 July. According to Department of Immigration figures, only around 1% of applicants for the 189 subclass are between 45 and 49 at present. Whilst the overall impact on program numbers is small, for people between 45 and 49 the effect will be significant because the age limit for permanent employer sponsored is also being reduced to 44. A permanent residence pathway for New Zealand citizens who have lived and worked in Australia for at least 5 years will be introduced from 1 July 2017. The Australian government estimates that 60-70,000 New Zealanders may be eligible for the new stream. This may mean that fewer places are available for applicants in the points tested stream. This in turn may affect the occupational ceilings for skilled migration, and result in higher points being required for an invitation through SkillSelect. We expect the occupations lists for General Skilled Migration - the MLTSSL and STSOL - to be revised from 1 July 2017. There are a number of occupations, mainly in the engineering sector, which are on the MLTSSL but not the STSOL. This is unusual and we expect these occupations to be candidates for removal. The Department of Education maintains a list of "Flagged Occupations". These could also be considered for removal, but based on previous years, only a few flagged occupations are removed each year. On the other hand, the changes to employer sponsorship announced on 18 April have resulted in restrictions on sponsoring staff for permanent residence or longer-term 457 visas, unless the occupation is on the MLTSSL. There have also been some unexpected occupations removed from the STSOL (eg Human Resources Advisor, and many science and engineering occupations). We expect Australian business groups to lobby for critical occupations to be added to the MLTSSL and STSOL. This would also be good for applicants for General Skilled Migration in any of the occupations which might be added. Occupational ceilings play a very important part in managing the General Skilled Migration program. They give a maximum number of EOI invitations which can be issued to Skilled Independent Subclass 189 and Skilled Regional Provisional (Family Sponsored) Subclass 489 applicants. In the last few years, it has become more competitive for people in popular occupations in the accounting, IT and certain engineering specialisations. If the occupational ceilings stay the same or are reduced, we expect it to become even more competitive. This will mean higher points scores may be required for an invitation. Many states have either closed their state nomination programs or restricted them significantly - examples include Queensland, Western Australia and ACT. Others have reached quotas for popular occupations. Most states will restart their state migration plans from July. For some states, ACT and South Australia in particular, many occupations fill very quickly after the program reopens. Applicants should make sure that they are ready to lodge for state nomination as soon as possible after they reopen to avoid disappointment. The 1 July changes are likely to make it more difficult to qualify for General Skilled Migration. Particularly for those affected by the decrease in the age limit, applying before 1 July will be advisable if at all possible. We expect that the Skilled Independent program will be more competitive in 2017-18 - this makes looking at alternative options such as state nominated or employer sponsored visas more important. If you have any feedback on this report please e-mail admin@myimmitracker.com. If you find this status update useful please SHARE the link - thank you in advance. Foreign workers currently employed in the province of New Brunswick have a fresh opportunity to obtain Canadian permanent residence, after the provincial government reopened its Express Entry Labour Market stream (EELMS) to these workers only. This enhanced Provincial Nominee Program (PNP) stream is part of the New Brunswick Provincial Nominee Program (NBPNP), through which the province welcomes new permanent residents who can settle quickly. Previously, this stream was closed to all new applications. Prior to the stream's closure, individuals who had attended a NBPNP information session, and workers eligible for the open category (which allowed certain IT workers to apply) — as well as candidates already working in New Brunswick — were eligible to apply, so long as they fulfilled the program criteria. Candidates who are successful in obtaining a provincial nomination certificate from the NBPNP through this stream receive 600 additional points under the federal Comprehensive Ranking System (CRS) and will be invited to apply for Canadian permanent residence in a subsequent draw from the Express Entry pool. Sign and submit a Commitment to Live and Work in New Brunswick form. Aside from this pathway, foreign workers in New Brunswick may have other means of pursuing permanent resident status, including the new Atlantic Immigration Pilot Program (AIPP), as well as through Express Entry, without necessarily obtaining a NBPNP nomination certificate. Nova Scotia welcomed nearly 5,500 new immigrants in 2016, more than at any time in the last seven decades. The province's Minister of Immigration, Lena Diab, stated in the provincial legislature that the results show that Nova Scotia is well on the way to achieving its goal of welcoming 7,000 immigrants per year by 2024. "It’s my extreme pleasure to report that we’ve had a remarkable year for immigration to Nova Scotia," said Diab to her peers. "I am so proud of these results; they reflect the hard work that we’ve been doing to grow our population and make Nova Scotia a more diverse and welcoming province." Of the newcomers who settled in Nova Scotia as new permanent residents last year, 1,350 were nominees through the Nova Scotia Nominee Program (NSNP), one of Canada's Provincial Nominee Programs (PNPs) (PNPs). As recently as 2013, only around 600 people came through this route. Recently released data from the federal government shows that a further 2,386 newcomers (applicants and accompanying family members) came through the federal Express Entry system. Other newcomers arrived through family sponsorship programs and as refugees. With an eye towards breaking this new record again in 2017, Minister Diab added that she is "looking forward to another outstanding year for immigration. We have a total of 2,150 spots to fill in 2017, that is the 1,350 spots for our Provincial Nominee Program and 800 spots in our new program, the Atlantic Immigration Pilot [Program, AIPP]. We’re on track to break more records." In addition to the NSNP and AIPP, Nova Scotia continues to welcome a steady flow of federal economic migrants, sponsored persons, and refugees. The Minister of Citizenship and Immigration, pursuant to section 10.3 of the Immigration and Refugee Protection Act, gives the annexed Ministerial Instructions Respecting Invitations to Apply for Permanent Residence under the Express Entry System (May 4, 2017). 1. (1) For the purposes of paragraph 10.2(1)(b) of the Immigration and Refugee Protection Act, the number of invitations that may be issued during the period beginning on May 4, 2017, and ending on May 5, 2017, is 3,796. (2) Foreign nationals who, on May 4, 2017, at 12:20:49 UTC, have been assigned a total of 423 points or more under the Comprehensive Ranking System that is set out in the Ministerial Instructions Respecting the Express Entry System, as published in the Canada Gazette, Part I, on December 1, 2014, and as amended from time to time, occupy the rank required to be invited to make an application for permanent residence. Immigration, Refugees and Citizenship Canada (IRCC) has published its Express Entry year-end report for 2016, showing that more candidates residing outside Canada were issued an Invitation to Apply (ITA) for permanent residence in 2016 than in 2015. Moreover, IRCC has stated that the countries of residence among invited candidates is likely to continue to diversify throughout 2017 as the Comprehensive Ranking System (CRS) cut-off threshold decreases even further. In 2015, 78 percent of invited candidates were residents of Canada. However, this proportion decreased to 69 percent throughout 2016. In 2015 and 2016, Canada was the main country of residence among invited candidates because of the high number of temporary foreign workers with a job offer that wished to settle in Canada permanently. IRCC’s report alludes to these changes having had an effect on the occupations and place of residence of invited candidates. However, given that they were introduced late in 2016, the changes are more likely to have an effect throughout 2017, diversifying the range of invited candidates even further. Indeed, over the opening four months or so of 2017 there has been a dramatic increase in the number of ITAs issued, with more candidates having been invited so far this year than in the entirety of 2016. Over this time, the CRS cut-off threshold has decreased accordingly, to its most recent cut-off point of 415. 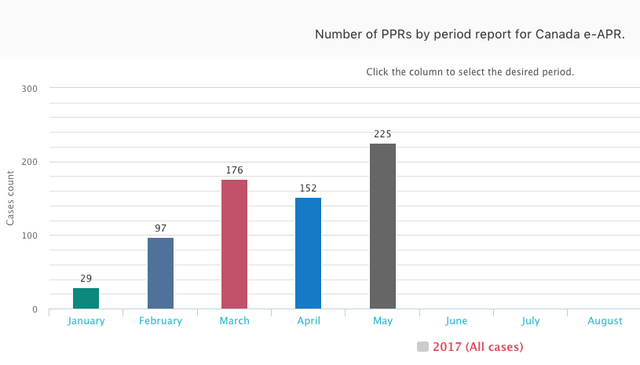 Therefore, and taking IRCC’s projection of a more diverse range of candidates being invited as the CRS threshold goes down, it may well be the case that more candidates outside Canada have received an ITA so far in 2017 than in the whole of 2016. The table below, which includes the top eight countries of residence among invited candidates other than Canada, shows that each country in this group has seen more of its residents obtain an ITA in 2016 than in 2015. It should be noted that the above table represents only 21 percent of all ITAs issued in 2016, and that thousands of ITAs were also issued to residents of other countries around the world. Aside from place of residence, the report also delves into the occupations of invited candidates. The report says that the changes introduced last November ‘rebalances the CRS and allows for more highly skilled candidates to receive an ITA,’ which has led to a more equitable distribution of occupations among invited candidates than was previously the case. In 2015, the top 10 invited occupations represented 38 percent of all invited candidates, with 16 percent of all invited candidates being cooks or food service supervisors. However, in 2016, the top 10 invited occupations represented 31 percent of all invited candidates, and the picture was somewhat different. Over 2016, IT workers around the world brought their A-game to Express Entry, resulting in many more of them being issued an ITA than in 2015. In doing so, they shot up the rankings to overtake workers in the food industry. IRCC states that workers in occupation group service supervisors and specialized service occupations (NOC 63, which includes food industry workers) were ‘more likely to have a lower human capital’ and that ‘only a small number of candidates’ in these occupations have been invited since November. Information Systems Analysts and Consultants, Software Engineers, and Computer Programmers and Interactive Media Developers together represented 14 percent of all invited candidates last year. Other workers that benefited throughout 2016 included Graphic Designers and Illustrators, University Professors and Lecturers, those in Advertising, Marketing and Public relations, and Financial Auditors and Accountants. Besides, it is important to remember that 69 percent of all invited candidates in 2016 were in an occupation outside this top 10 list. Taking the three comprehensive Express Entry reports published by IRCC together, it can be revealed that, over time, fewer candidates with a qualifying job offer have received an ITA. Consequently, a higher percentage without a job offer have been invited to apply. This trend was already well underway before the changes introduced last November came into effect — and those changes have served to accelerate the trend even further. “The range of information and analysis contained in this year-end report shows that 2016 was both a transitional and a breakout year for the Express Entry system,” says Attorney David Cohen. The wide-ranging year-end report will be covered in further depth by CICNews.com, which will publish a range of articles covering the different aspects contained therein. The Australian Government has announced changes to Australian citizenship requirements which are effective 20 April 2017. This article explains the changes and gives guidance for people affected by the changes. Applicants for citizenship by conferral would generally need to show that they meet the "General Residence" requirement. Previously, it was possible to count time spent in Australia on a temporary visa or bridging visa towards the 4-year requirement in (1) above. The announced changes would require that applicants hold a permanent visa for 4 years before applying. This would potentially require applicants to wait a further 3 years before applying for Australian citizenship.